Undoubtedly well positioned within the minds and hearts of locals (and even not so locals), mezcal seemed to play, for a long time, second fiddle to tequila. Little by little, though, this artisanal drink (which literally means “smoked agave” in Náhuatl), has slowly made a name for itself. This is especially why we loved seeing it as protagonist at two memorable Mexican eateries. Many thanks to Chef José Bossuet, who has spent a few months consulting with the Los Amantes Group, for introducing us to these gems. The namesake of the thoughtful, Oaxaca-born mezcal line, and the largest mezcalería in the world, Los Amantes (The Lovers) is located in one of Mexico City’s finest neighborhoods. Luckily, the zip code does not make this locale stuffy at all. What it does, however, is provide patrons with an elevated cantina experience, where food has been curated to make mezcal tasting a transformative journey. We did not have a chance to try any of the other 200+ mezcal labels within this restaurant’s collection, as we focused on sampling the in-house pairings (Los Amantes has joven, añejo and reposado variations), which were especially designed to boost the delicacies in front of our eyes, along with a must try- pulque. It was a real treat to sample this millenary fermented beverage in such a setting, by the way. We highly recommend that you try the curados, which are concoctions made with pulque and fruit. Whether or not you enjoy them as much as I do, this should definitely be on any Mexico City visitor’s list. 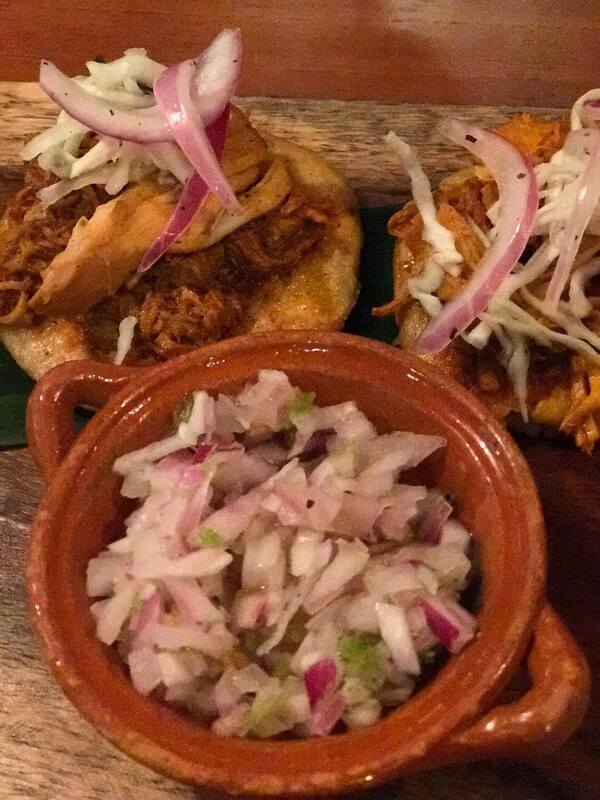 The concept behind the menu is to highlight dishes from states that produce mezcal. The culinary team, led by chef José Alberto Gómez, proudly displays true mastery of harmonization, using elements such as ashes and remarkable smoky salsas to make mezcal stand out. Food here is simple, yet seductive. I fell in love with the twice-distilled reposado so hard, I brought home one of its handsome Huichol-inspired bottles. Check out some of the dishes presented by the chefs during our tasting here. Mezcal tasting at Los Amantes is available by reservation only. Please call ahead. This is a very personalized experience. 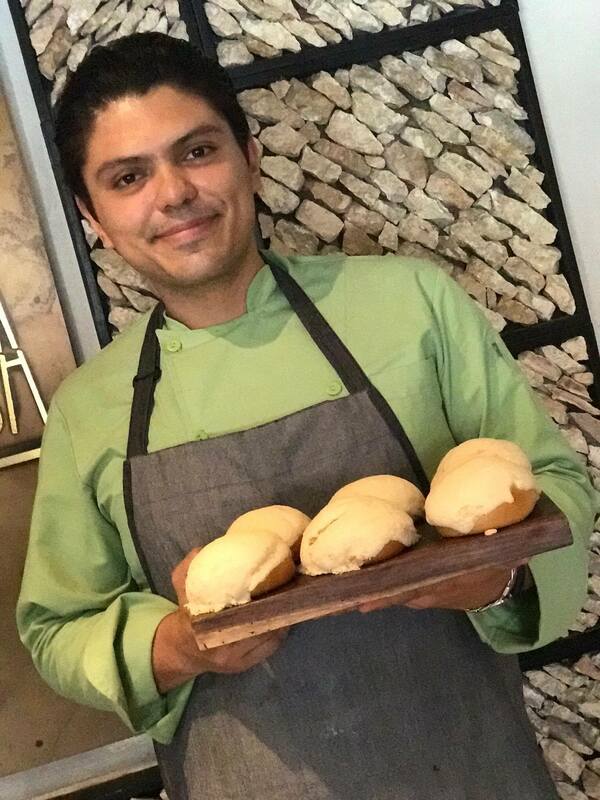 When you visit please say hi to Chef Beto for us! While writing this post I was notified that Los Amantes group will soon open a new mezcalería in another high-end neighborhood in the city – Santa Fe. Stay tuned for more details. Chefs José Bossuet, Gerzayn Bellamy and José Alberto Gómez at the Mezcalería Los Amantes kitchen. You don’t need to leave Mexico City to sample the bright, complex and sophisticated cuisine of southeastern Mexico. The Yucatán peninsula is home to an extraordinary culinary tradition that is strongly committed to food preservation through a variety of techniques – pickling, brining, pit smoking, drying. During this trip, I was delighted to notice that Yucatán and even Chiapas, seem to be gaining traction as foodie destinations, proving that they can hold their own as an alternative to long-standing gastronomy havens such as Oaxaca or Puebla. 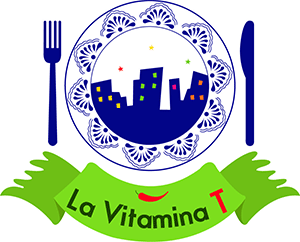 Throughout Mexico, over 500 years of fusion with different cultures have permeated local gastronomical expressions with a rich diversity of ingredients, colors, flavors, and textures. This happens in a surprisingly granular way, as ingredientes, cooking utensils and materials can vary greatly depending on geography, even within the same state. The architecture and décor at Casona La Yucateca are a modern take on a henequen hacienda. To add a dimension to our out-of-state experience, the drinks- creative, well-balanced and inspired in Mayan mythology, you will certainly agree that La Casona Yucateca’s mixologist, Marco Antonio Fausto, is a remarkable culinary artist. Pace yourself with those cocktails, though- they are light to the palate, but they pack a punch! Chef Bossuet and La Casona Yucateca’s Sales Manager, Ivonne Chávez were excellent tour guides and hosts during our culinary journey. 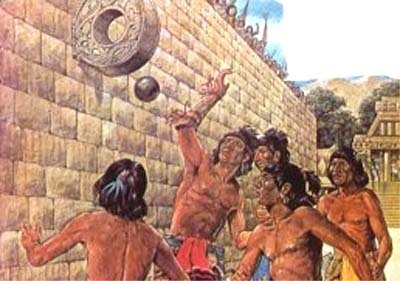 The Kukulkán by Marco Antonio Fausto. I could drink this instead of water. 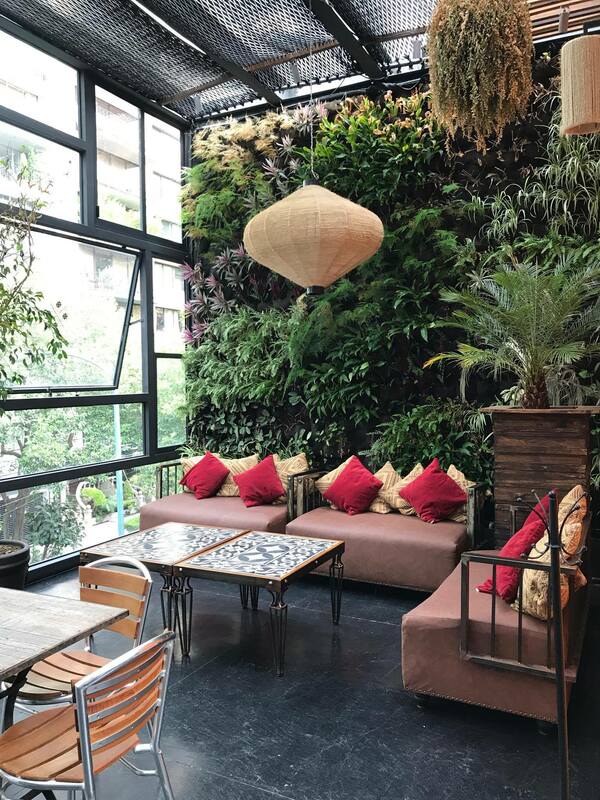 The restaurant has several areas, including a private room for meetings, and a terrace that seems more like an indoor garden. 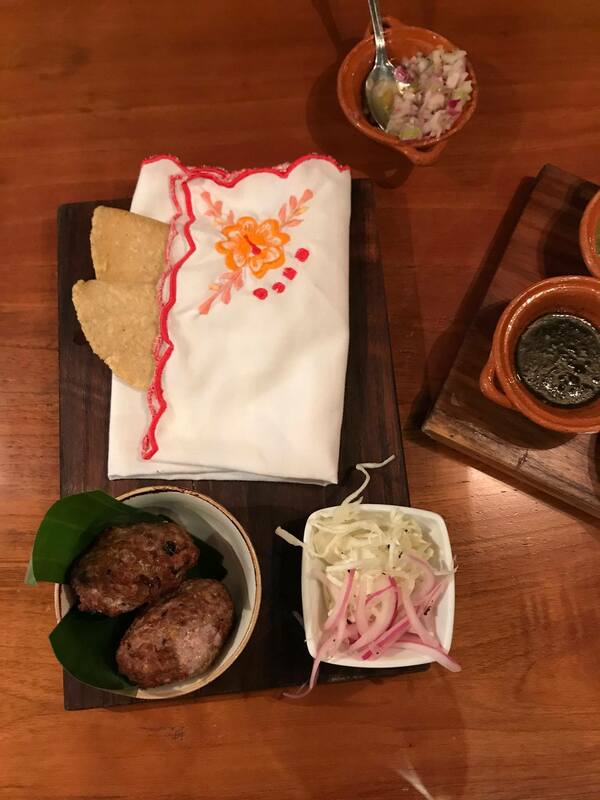 We got settled in the private room, where we had the opportunity to sample an outstanding array of menu offerings ranging from the traditional sopa de lima (keffir lime soup) to salbutes, panuchos, kebbeh, and of course, the famous queso relleno (stuffed cheese) made with Edam cheese! Interestingly, this Danish product has become Yucatán’s favorite, and is quite ubiquitous in its gastronomy. While there are a few hypotheses attempting to explain how centuries ago, this cheese might have arrived at the more isolated Yucatán peninsula, most of them agree on one point- the aged dairy was certainly at an advantage, as it was able to survive the humid heat of the jungle. 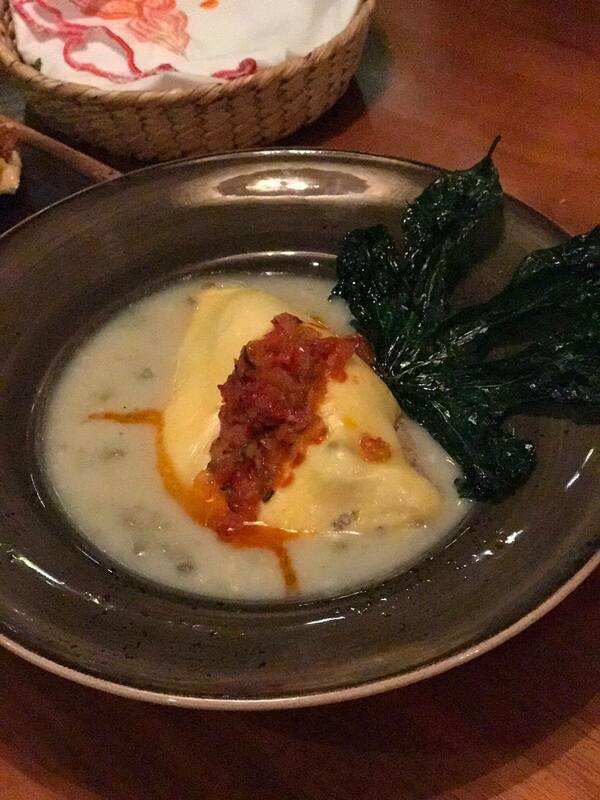 Yucatán has adopted Danish Edam as its favorite, featured here in a spectacular queso relleno. Kebbeh, taboule and other dishes show the Lebanese influence in the culinary expressions of the Mexican southeast. Traditional turkey salbute with pickled vegetables. Turkey is a very popular meat in Yucatán’s modern gastronomy. 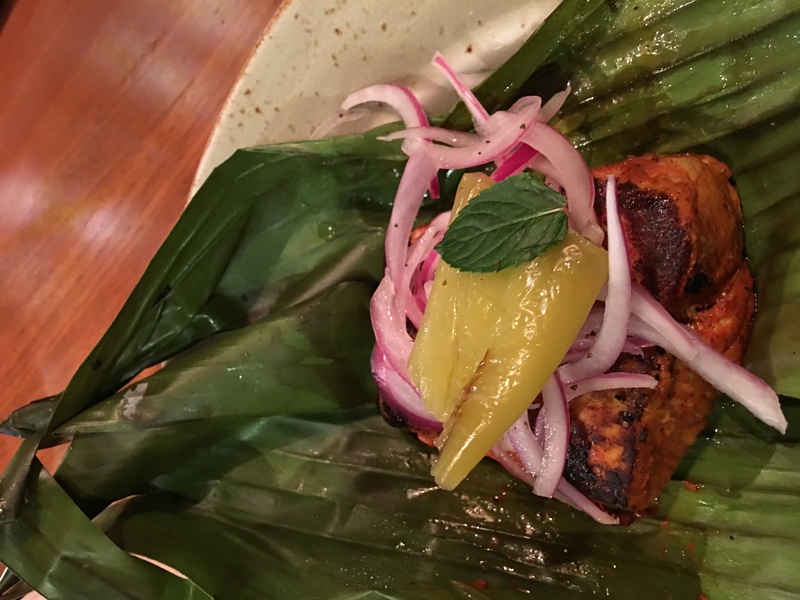 Tikin Xic fish leverages local ingredients and underlines the importance of pickling and marinades as preserving agents. Find several videos of our tasting tour including dessert, here! Chef Juan Reyes is in charge of a kitchen where know how and passion are mixed with ingredients sourced from Yucatán to ensure the authenticity of flavors. Food is made from scratch, including but not least importantly, the bread. Chef Efraín Gamboa’s craft discreetly enhances the meal and patiently awaits to take center stage at dessert. We returned from our “visit” to Yucatán really longing to go back.